1. Adult bibs or clip-on napkins – It may seem childish, but you can find fun adult bibs to keep messes to a minimum. Try napkin clips similar to those used in a dentist’s office. 2. Double handed cups – These unique mugs let you hold it in different ways that adapt for weak hand strength. 3. 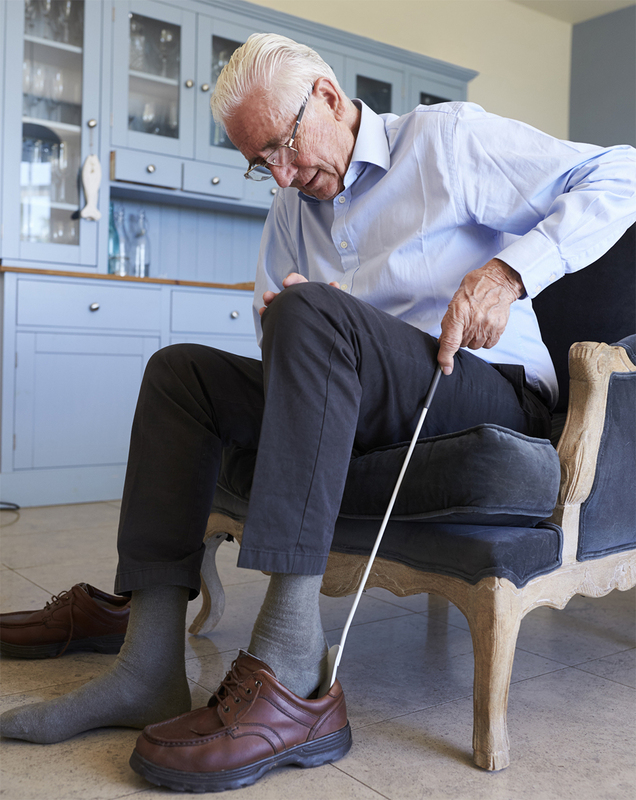 Dressing stick – A multi-use tool for getting shirts over the head and taking off pants and socks. It even has a hook for the back of shoes. 4. Magnetic closures – Another option is to avoid buttons and zippers altogether with magnetic closures. 5. Long-handled scrubber – For those hard to reach places, try a loofa or sponge on a long, curved handle. 6. Shower chair – Rubber grips prevent slipping and the armrest aid is stability. Aging in place independently is always the goal. With these tools and products, Seniors can live on their own for years to come. Call 908-788-9390 if you need help caring for your Senior Citizen in their own home.